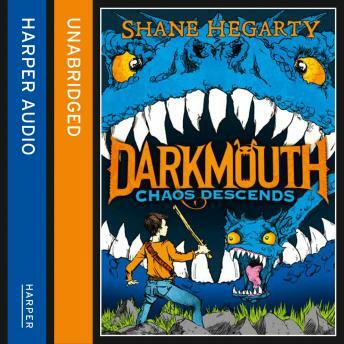 The third book in the monstrously funny and action-packed Darkmouth series. It's going to be legendary. Finn's been through so much, he'll now be allowed do what he wants with the rest of his life, right? Wrong. Whether he likes it or not, he's going to be made a proper Legend Hunter. But then suddenly people start disappearing, Legends are appearing where they shouldn't, Broonie's complaining, and an attack so big is coming that Finn has the weight of the world on his shoulders.